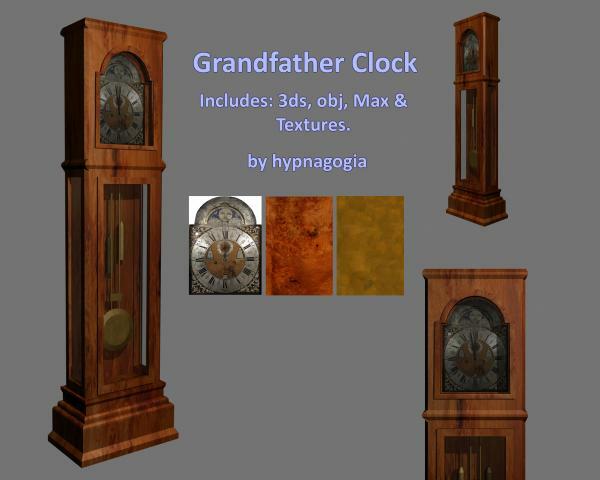 Model of a grandfather clock. Made with 3ds Max. Thanks and Enjoy! My husband loves grandfather clocks! This is beautiful, so detailed! Thank you! krickerd (4 years ago) Inappropriate? Very nice Grandfather clock. Thank you. A much sought after piece.Many thanks. Thank You you do outstanding work. Thanks so much for sharing :) Happy New Year!! !